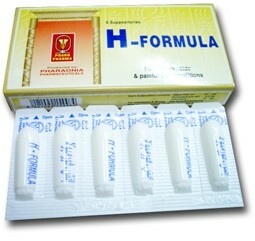 H-FORMULA suppositories contain shark liver oil, a natural source of vitamin A, which promotes wound healing and tissue repair thus relieving symptoms accompanying the healing process. Shark liver oil acts also as an emollient and protectant that provides a physical barrier to irritation by forming a protective layer over the mucous membranes lining the anorectal region, thereby preventing excessive water loss from the tissues. Phenylephrine stimulates vascular alpha-adrenergic receptors causing vasoconstriction thus reducing swelling of hemorrhoidal tissue. Phenylephrine also helps to prolong the duration of dibucaine-induced local and regional anesthesia. Dibucaine is one of the most potent and long-acting local anesthetics. 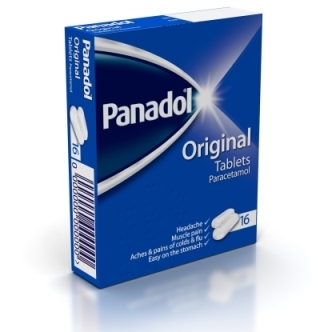 Dibucaine causes rapid relief of pain and itching associated with painful skin and anorectal conditions. – Other painful anorectal conditions. One suppository is to be inserted reclally up to 4 times daily. In case of bleeding or if the condition does not improve within 7 days, consult a doctor promptly. Should not be used in case of heart disease, high blood pressure, thyroid disease, diabetes or prostate enlargement unless directed by a doctor. Consult the doctor in case of children under 12 years of age, pregnancy and lactation. A box containing 6 suppositories. Keep at a temperature (is-30°C) . New Borg El-Arab City Alexandria, A.R.E.